We are experts in selecting the best luggage and bag brands in the world for our customers, from well-known brands such as Samsonite and Tumi, to up and coming ones names like Lipault and American Tourister. 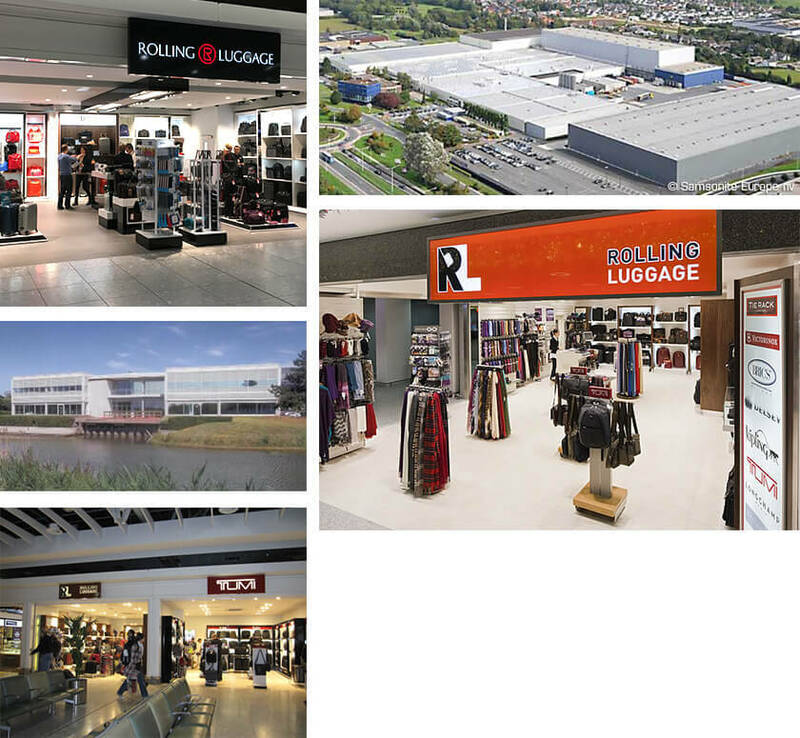 Rolling Luggage began in 1995 with the first store opening at Heathrow Airport Terminal 1. From there, we expanded into the other Heathrow terminals, and then to other airports at Gatwick, Stansted, Manchester and beyond. We now have over 20 stores in the UK, Ireland, Denmark, Germany, Hong Kong, Macau and Australia. We have a number of offices around the world, with the largest at Stockley Park, just on the outskirts of Heathrow Airport. *It is our company policy for customers to present their boarding passes for all purchases. Sales to non-EU travellers generate a VAT saving for us (as the government does not charge us VAT on these sales), but we use this saving to reduce prices for passengers on all our products, irrespective of where they are travelling.